This is my September DT September Challenge Card. Stampin up Coloured card for matting and layering. Sentiment Matts TTL. Essential Circles. Leaf Die. TTL. Mini Dies. Flowers; These were from my craft stash, sorry I don't remember where from. I loved colouring this beautiful Besties image. 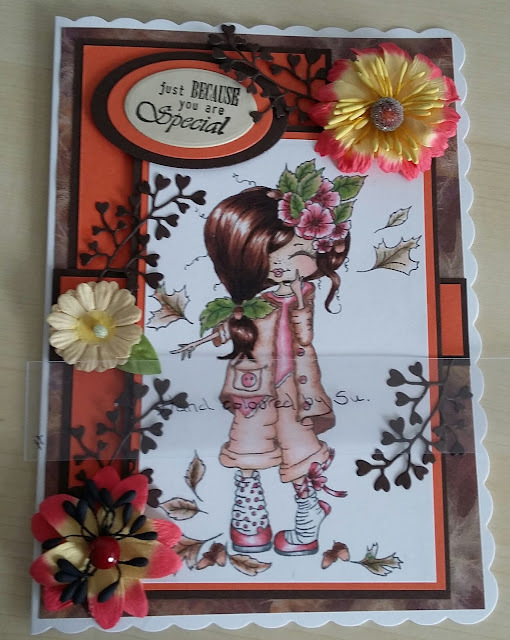 Lovely card, coloring and design. Great image for the theme too. Thanks for all you do for the team.